FRIDAY HARBOR, Wash. (KCPQ) — Researchers are calling it a "tour of grief." They're also calling it unprecedented. In his more than four decades studying whales, Ken Balcomb, the founder of the Center for Whale Research, said he's never seen anything like this. 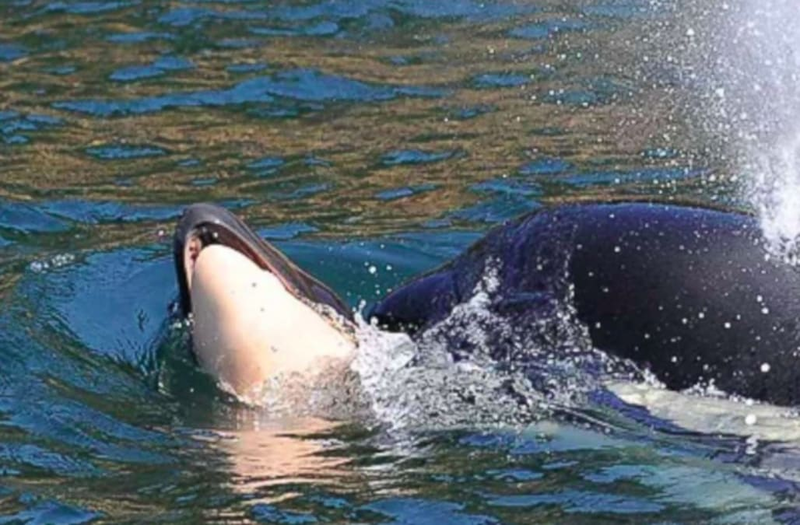 An audio recording believed to be the mother orca was taken Monday off the west side of San Juan Island and provided to Q13 News by Michael Harris, a well-known marine expert and conservationist who works with a number of individuals and organizations on climate and marine issues, including since 1997 with Orca Conservancy, an all-volunteer organization that works to protect killer whales and their habitats.